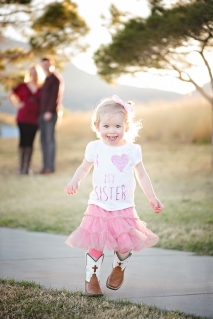 I am so excited that you are considering a session with la morgan photography! When you book a session with me I will send you a portrait contract and model release to sign. These are for your and my protection even though the wording sounds very lawyer-y :o) Signing the model release means I can post sneak peeks on Facebook and blog your session to share with family and friends! Once we have agreed upon a date and time I will send you a link to pay your $50 non-refundable deposit. This may be paid anytime before the session. On the day of the session, if we have an outdoor session, please be flexible as the weather can change very quickly here in the desert. I have learned that even if it is raining 45 minutes before a session the sun could be shining at the time of a session. After your session it will take me approximately 2-3 weeks to edit your images. I always try to post 3 sneak peeks on Facebook if a model release has been signed. I will let you know when your images are done and can either mail you your USB drive with your images or meet you to give them to you in person! You are more than welcome to message me with any questions you may have throughout this whole process. Get started on booking your session here! © 2019 la morgan photography|ProPhoto Blogsite by NetRivet, Inc.